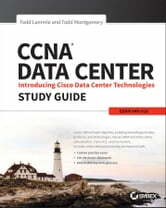 CCNA Data Center, Introducing Cisco Data Center Technologies Study Guide is your comprehensive study guide for exam 640-916. 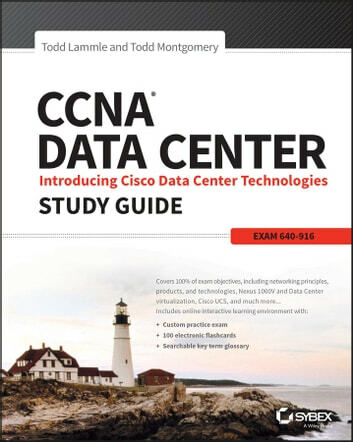 Authors Todd Lammle and Todd Montgomery, authorities on Cisco networking, guide you through 100% of all exam objectives with expanded coverage of key exam topics, and hands-on labs that help you become confident in dealing with everyday challenges. You'll get access to the free Nexus switch simulator that allows you to try your hand at what you've learned without expensive software, plus bonus study aids, such as electronic flashcards, a practice exam, and a searchable PDF glossary of terms. Coverage includes Data Center networking and virtualization, storage networking, unified fabric, Cisco UCS configuration, Data Center services, and much more, for complete exam preparation.